Glasgow is a cinema-lover's delight, with a wide range of cinemas from multiplex cinemas showing the latest family and blockbuster movies, to small independent cinemas screening cult classics and art house films. 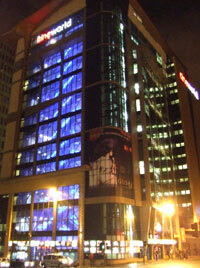 Glasgow's 18-screen Cineworld Cinema (formerly the UGC Cinema) is the tallest cinema in the world. 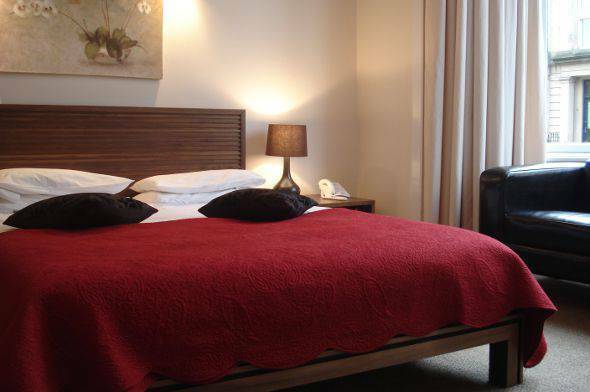 Located in the centre of Glasgow on Renfrew Street, it is adjacent to the Buchanan Street Bus Station and Glasgow's Royal Concert Hall, as well as being close to Sauchiehall Street and Buchanan Galleries. The Glasgow Cineworld Cinema shows the latest box office hits as well as screening a range of local and world cinema. There is a licensed cafe / bar on the second floor. A glass elevator on the outside of the building provides panoramic views over Glasgow's city centre. 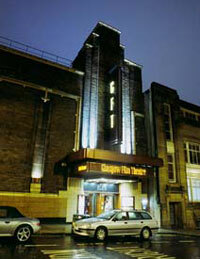 The Glasgow Film Theatre is one of the most successful independent cinemas in the UK. The cinema offers each year on its two screens a range of 450 titles from film, television and video which would not be available otherwise in the city's multiplexes. The Film Theatre building itself is in the Modernist style, and has a beautiful post art deco interior. It is conveniently located on Rose Street, just off one of Glasgow's main shopping destinations, Sauchiehall Street. Cafe Cosmo is a licensed cafe set within the cinema, and it provides refreshments and snacks throughout the day. The Odeon Springfield Quay Cinema is the first Odeon multiplex in Scotland and is located on the south bank of the River Clyde, only a few minutes walk from Argyle Street and the City Centre. The cinema opened in 1996 and has good public transport links and car parking. The Odeon Quay has twelve different screens, which range in size from 90 to 431 seats. The cinema shows all the latest box office hits and occasional one-off shows of cult films, including special events for Halloween.